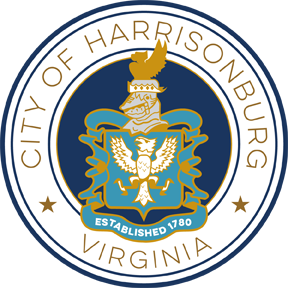 The City of Harrisonburg adopted a Stormwater Utility Fee to provide funding in the support of the operation, maintenance, and regulation of the City's extensive stormwater management system. The utility fee has been designed for owners of developed property in the City to assist in stormwater management program costs. The utility fee program is based on the amount of impervious area on developed property because properties with higher amounts of impervious area contribute greater amounts of stormwater runoff and pollutants to the stormwater management system. Property owners will see this fee as a separate line item on their Real Estate Tax Bill. The current fee is $6.00 per 500 sq. ft of impervious surface. To pay for or view your bill, visit the Real Estate Tax page. What does the Stormwater Utility Fee pay for? How was the Stormwater Utility Fee Program developed? How was the impervious area on my property assessed? How do I see how much impervious area is on my property using the Stormwater Utility Fee Mapping Tool? Is the City's mapping of my property's impervious areas correct? How do I reduce my fee through the Stormwater Utility Fee Credit Program? How can I receive technical assistance and funding to install Best Management Practices? What do if I still have questions? Use the above buttons above to learn more about the Residential or Non-Residential Credit Programs! The fee is based on the amount of impervious area on developed property in the City. Example of impervious areas includes roofs, sidewalks, and parking areas. The program establishes a billing unit of $6.00 per year for every 500 square feet (SF) of impervious area. See the image below for an example property calculation. Development of a city-wide Stormwater Improvement Plan to identify, select, and prioritize capital projects to reduce pollution, manage stormwater, and protect our drinking water sources. Design and construction of stormwater capital projects, including retrofits and community greening projects to reduce pollution and improve water quality. This includes projects on city owned properties and partnerships (such as grants or cost-share) with private property owners. Coordination of pollution reduction efforts including staff training, pollution prevention and good housekeeping practices for municipal operations, pollution detection and elimination program, and public education and outreach. Maintenance and operation of city-owned stormwater drainage and stormwater management facilities. How do I see how much impervious area is on my property using the Stormwater Utility Mapping Tool? If you have questions about your stormwater utility bill, or how to use this tool, please call Harrisonburg Public Works at 540-434-5928 or email stormwater@harrisonburgva.gov. Property owners are encouraged to participate in the Stormwater Utility Fee Credit Program and submit an application for new or existing stormwater Best Management Practices (BMPs) on their properties. By maintaining BMPs, property owners can reduce stormwater runoff volume and pollutant levels from their properties and can reduce their fee by up to 50%. Technical assistance and funding for eligible projects is available through the Soil and Water Conservation District's Virginia Conservation Assistance Program (VCAP). Click on the buttons below to find out more about the residential and non-residential credit programs. The Soil and Water Conservation District's Virginia Conservation Assistance Program provides technical assistance and funding for eligible Best Management Practices. Property owners can work with the Shenandoah Valley Soil and Water Conservation District (SVSWCD) to implement BMPs on their properties and then apply for Stormwater Utility Fee Credits through the City of Harrisonburg. More information about the Virginia Conservation Assistance Program (VCAP) can be found on the VA Soil and Water Conservation District website. [210KB] Stormwater Management & Utility Program Frequently Asked Questions (FAQ) -The Stormwater Utility Fee Frequently Asked Questions has been prepared to assist property owners in answering inquiries about the fee. Receive notifications about volunteer opportunities (i.e. stream cleanup and plantings, workshops, public meetings, and other related stormwater and environmental events sponsored by the City. Subscribe here. 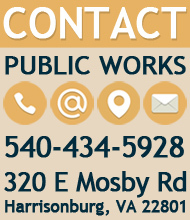 If you still have questions or would like to speak with someone about the Stormwater Utility Fee, please email Stormwater@HarrisonburgVA.gov or call 540-434-5928.